Even thought it was a steamy 90 degrees out today we spent some time this afternoon fishing at the local park. We had great success, with everyone catching at least two fish. 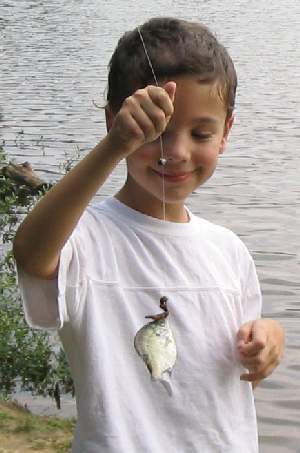 This was their first time having success at this park, and it was Reilly's first fish ever. Every fish caught was photographed before being released back to the pond. 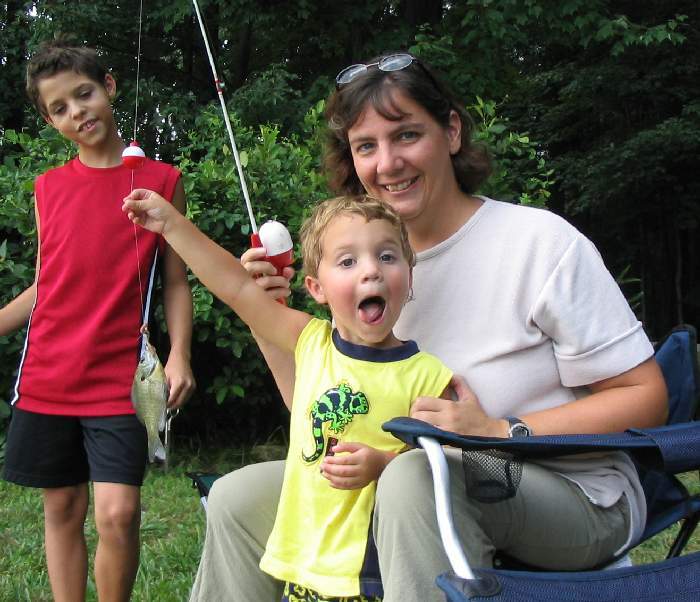 Christopher was the first to land a fish. 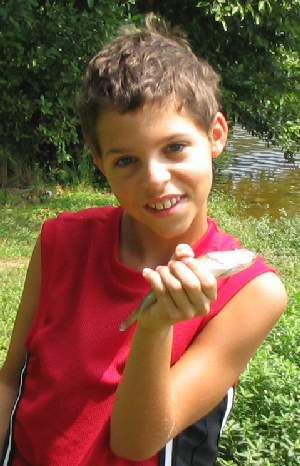 Austin was the second one to catch a fish. By now we had discovered that the fish were feeding very close to shore. They were a little disappointed that they were too small and couldn't bring them home to cook them up. Lynne arrived towards the end of the fishing trip and got to see Reilly catch his third fish of the day. Great work !! you are a wonderful family.